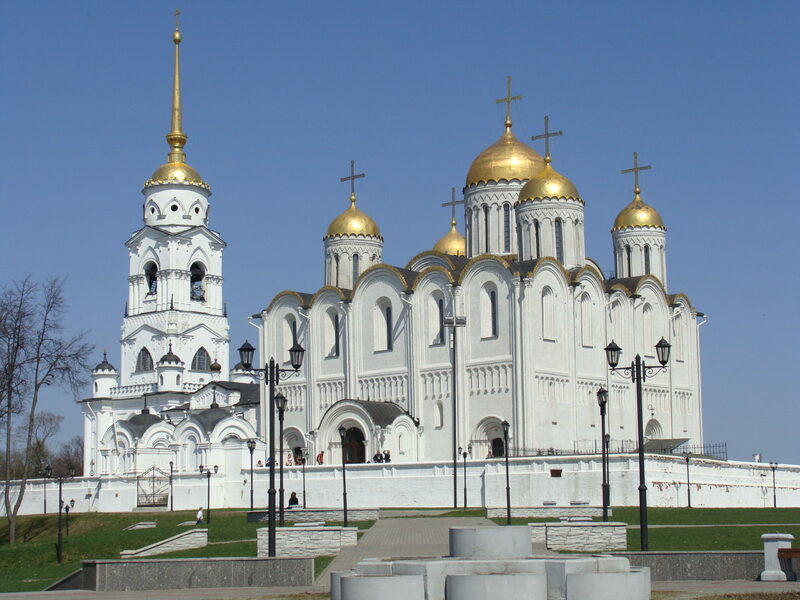 The first stop on our tour is the Assumption Cathedral, a unique monument of the white-stone architecture of Vladimir town. The cathedral was built in the middle of the XII century by Prince Andrei Bogolyubsky as the main church of the Vladimir-Suzdal Principality. World-famous frescoes by Andrei Rublev are preserved there. You will then proceed to the small, one-domed cathedral of St. Dmitry, built in the beginning of the XII century by Prince Vsevolod as his palace church. The cathedral´s interior still features frescoes of the XII century. 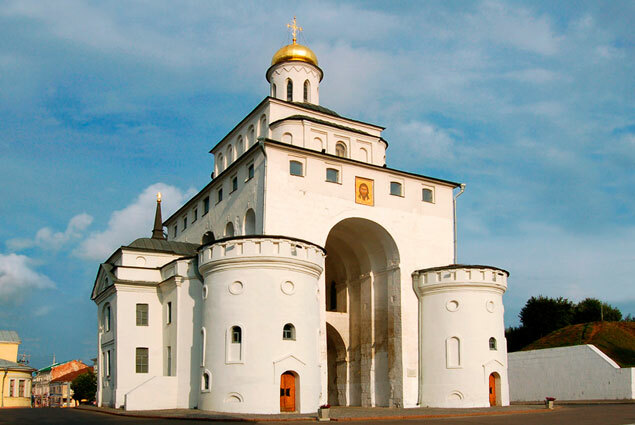 You will also visit the Golden Gates — considered to be the door to Vladimir built in the early XII century by Prince Andrei Bogolubsky. In ancient times they served as the main military tower of the fortress. Museum of Russian Wooden Architecture, Spaso-Efimovsky Monastery and Suzdal Kremlin. The cost is 12 500 rub per person. This includes transportation ( train tickets to Vladimir and a mini-van from Vladimir to Suzdal and back), guided visits to the Museums and cathedrals, and excludes lunch.